After joining Earth's Hostage Corps and going through slave training, Marci Gotz is now Slave Marci. 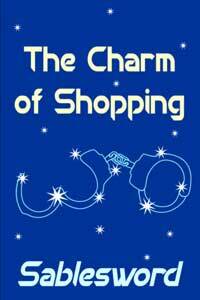 Shipped off-planet, she is sold to Master Tiim, who sends her shopping while collared and barefoot. To fulfill her function as an exotic, ornamental Earth-human female, Slave Marci needs the proper clothing. But she also needs to help her Master Tiim buy a gift, and finding a suitable trinket turns out to be more complicated than expected.